If you want to experience any sort of success or ROI from the time and energy you put into content marketing, you have to be willing to invest in the right tools – tools that can automate, streamline, and improve your processes from beginning to end. But here’s the problem: Literally hundreds of tools claim to help you become better at content marketing in some way. It’s not always easy to know which tools are worth trying. As a content marketer with more than 10 years of experience helping businesses of all sizes learn how to navigate the web and connect with more customers online, I’ve tested my fair share of tools. Believe me when I say, they are not all created equal. 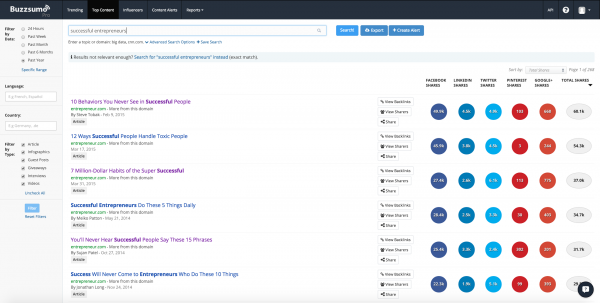 BuzzSumo helps you find great ideas that already have proven to be share-worthy and popular. By entering a topic or domain name, you receive about 10 free results (more results available in the Pro version). 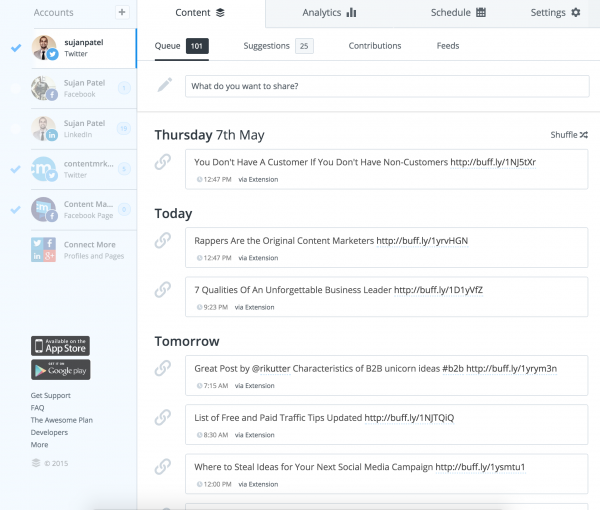 In addition, BuzzSumo shows you the share statistics from Facebook, Twitter, LinkedIn, and more for each article, allowing you to quickly uncover potential topics that are likely to resonate with your audience. I personally use this tool every time I need to come up with new topic ideas. It’s an easy way to quickly gauge which topics have been well received by online audiences, and which ones fell flat. Pro tip: Use this tool for more than ideation. It has a lot of useful features that can help you streamline your content marketing and promotion efforts. I also use it as a way to find and connect with influencers who might be willing to share my content, and I use it for Content Alerts (it’s much better than Google Alerts). With Buzzsumo you can view people who have shared your posts. 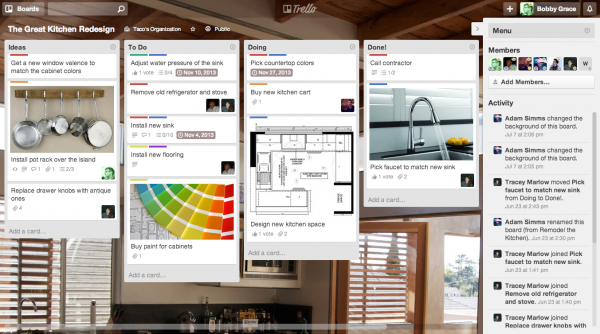 Content marketing only works if it’s consistent, and Trello makes that possible – for free. Create tasks, attach files, assign deadlines, and move them around in an online notecard-style program. If you upgrade, you get additional storage, new backgrounds, and other fun features. You can even sign up for Trello Business Class to get the program for everyone in your organization. 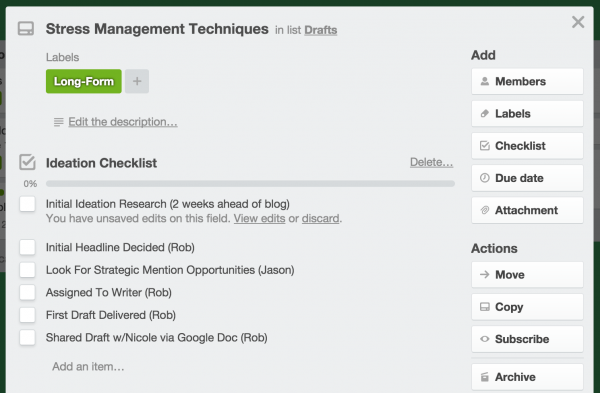 This tool is a lifesaver for me when it comes to organizing and managing content projects. What I like most is that it allows me to quickly get a bird’s-eye view on any outstanding piece of content that my team is helping me push through to production. Pro tip: Save even more time by using the Labels and Checklist features. Once you’ve created great content, the next step is to share it with those who can boost your profile. Content Marketer is a tool that allows you to connect with influencers, increase shares, and boost traffic to your site. Instead of doing all of your outreach manually, use Content Marketer to help you build an outreach list and use templates to start building relationships automatically. If you want to get any sort of ROI from your content marketing efforts, you have to put the time and resources into promoting every single piece of content you create and publish. I created Content Marketer because I was wasting too much time trying to find contact information for people I wanted to reach. Pro tip: Once you have contact information for influencers, reach out to them through both social media AND email (but not at the same time). Communicating in two different ways will increase the likelihood that they will respond. Before you make your ask, show them some love by sharing and retweeting their content. 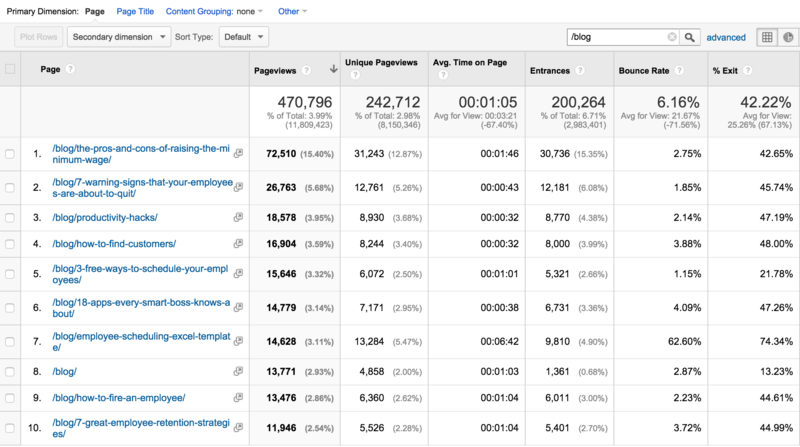 You can’t improve what you don’t measure, and it’s no surprise that Google Analytics has been the No. 1 tool for understanding website traffic for years. Recently, Google has begun testing some interesting new user-behavior features, including Active Users and Cohort Analysis. 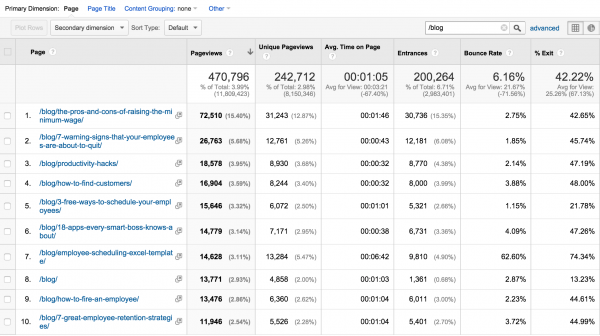 Google also introduced quite a few new features in 2014, so if you haven’t used Google Analytics in a while, you’ll likely find some valuable new applications. Pro tip: Make sure you take the time to set up goals. It’s a great way to track success and ROI. Learn more here. 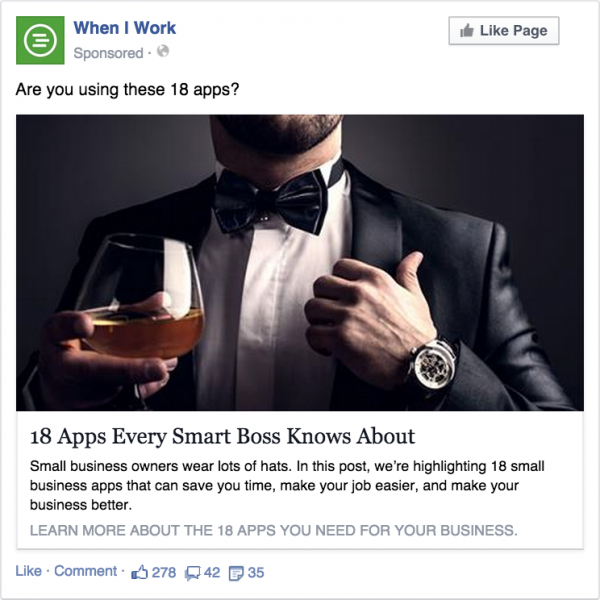 If you want to get your content in front of targeted groups of people, Facebook Ads is the way to go. Facebook has tons of data about its users, including their hobbies and what types of pages they like – in addition to the typical age, location, and education demographic information. As a result, well-placed Facebook Ads enable you to put your content in front of those who are most likely to respond. At When I Work, we use Facebook ads to promote our product, but we also use it to promote our blog posts. It’s been an important tool in driving more traffic, boosting engagement, and increasing conversions. 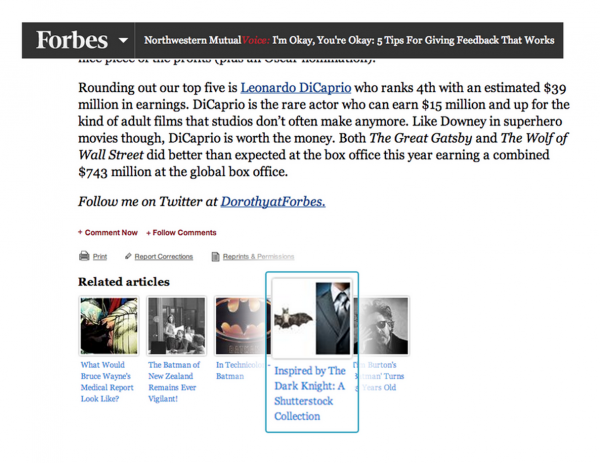 Pro tip: Take advantage of the targeting and demographic options to get the most out of your ads. Zemanta is a content syndication platform that helps you distribute your content to a variety of users on external, established websites like CNN and ESPN. Your blog posts, videos, or other content appear as promoted recommendations or sponsored content on related articles and websites, allowing you to target the readers in whom you’re most interested and view your performance from a centralized results reporting system. 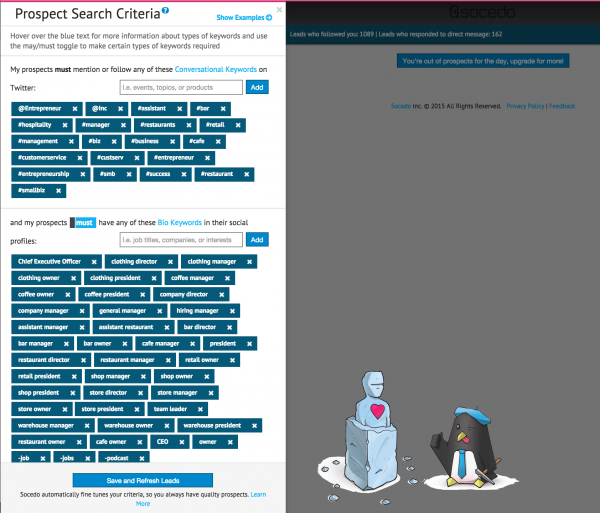 If you want to get your content to new readers, Zemanta is the tool you need. I’ve used Zemanta in the past for a handful of projects, and it’s a great way to get your content in front of new eyes. The key to making your campaigns successful is to be ultra-specific when it comes to targeting and demographics. If you don’t do this, you still get traffic, but you most likely won’t be able to get the qualified leads you want. Pro tip: Work with the team at Zemanta to test headline variations for the content you include in your campaign. Creating great content on a regular basis requires an organized schedule, and CoSchedule is one of the best editorial calendar tools available. 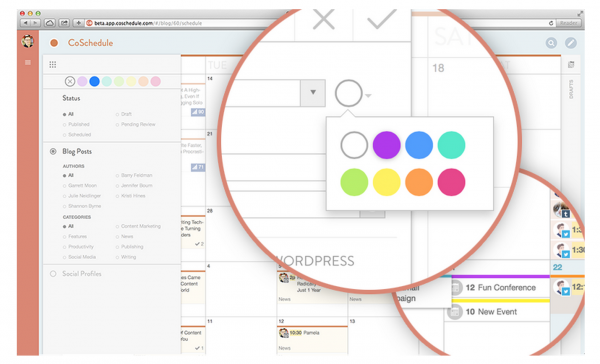 The program offers a drag-and-drop calendar interface that’s easy and intuitive to use. 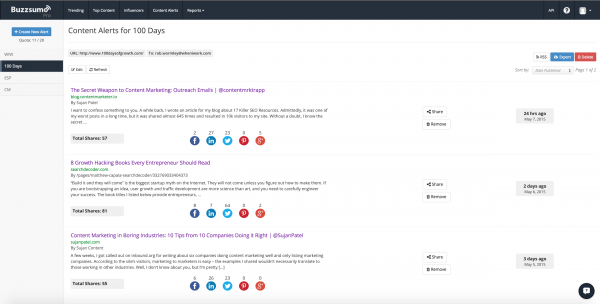 Once installed, this tool allows you to plan your content, assign it to a member of your team, and create social media content at the same time as your blog content. Ultimately, this planned activity results in higher traffic and effective promotion of all your content – both old and new. Pro tip: Use the color-coding feature to organize how many times your updates go out. Sharing on social media is an integral part of promoting your content, and Buffer makes this process simple. 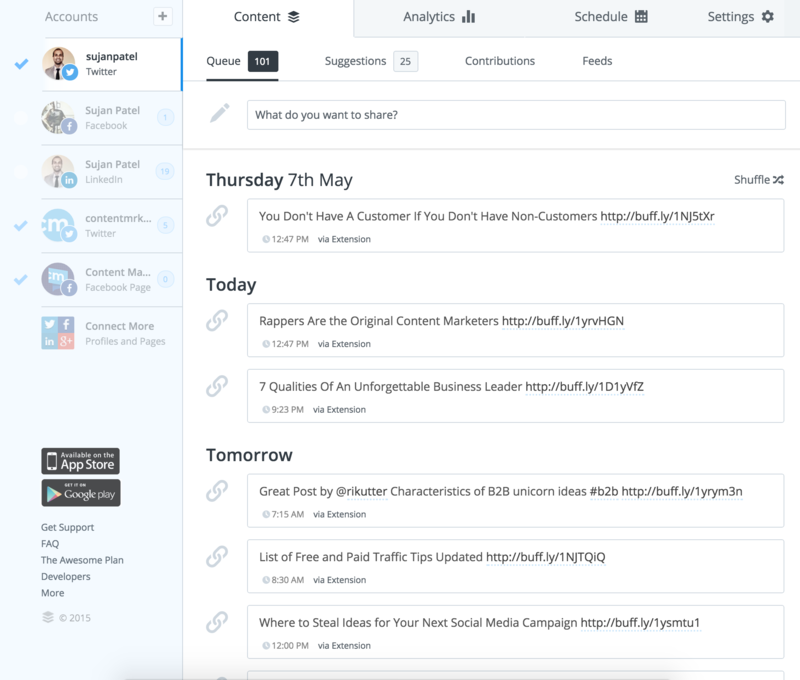 Supporting integration with Facebook, Twitter, LinkedIn, and Google Plus, Buffer allows you to schedule a single message to go out to all of your platforms at once. You also can set different messages for different platforms or schedule messages to be deployed automatically in the future. Pro tip: Use the browser plug-in. The plug-in lets you share any page you’re visiting to your social platforms, helping to keep your social queue full of interesting content. To really make an impact with your content marketing, you need to be able to discover who’s connecting with your products and services to get them into your marketing funnel. Socedo makes that not only possible, but easy. This automated social lead generation tool will help you find qualified prospects on social media, engage them, and make them part of your community. 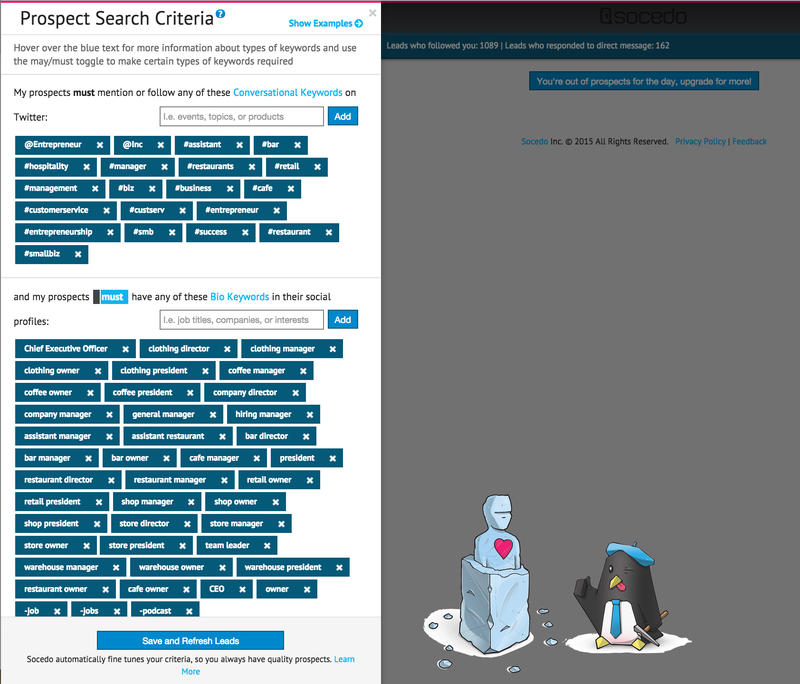 Pro tip: Refine and test your prospect search criteria. Learn more here. As you distribute your content online, you’ll likely be using email as part of your marketing mix. But what happens after you hit “Send”? 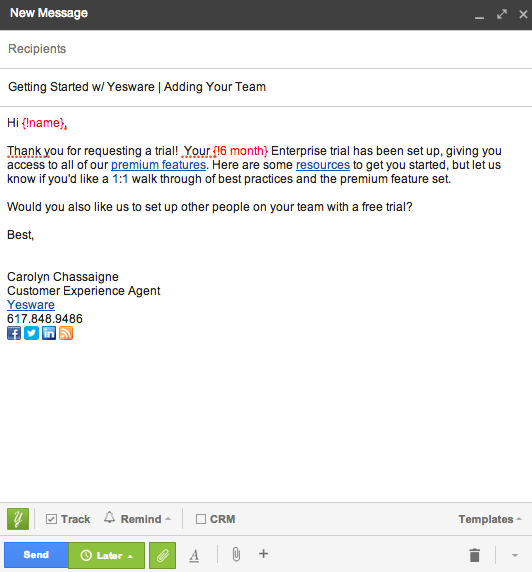 Yesware allows you to track email opens, connect with prospects effectively, and close more deals than you ever thought you could. 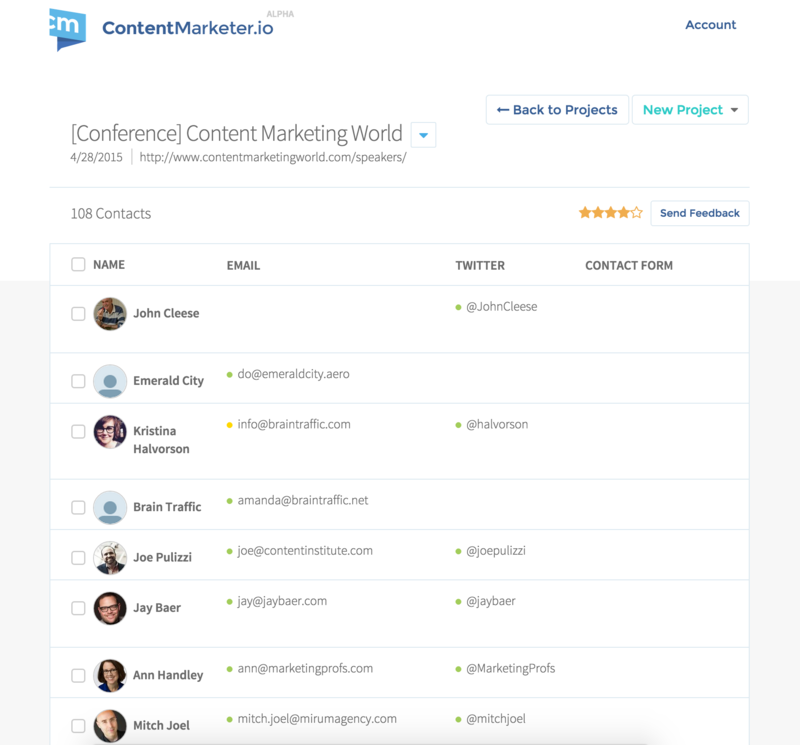 In addition, this tool integrates with Salesforce, making it easy to combine your CRM system with your marketing tracking and engagement efforts. Pro tip: Use the mail-merge feature to save even more time. Content marketing isn’t new anymore. As a result, making a splash in your industry requires that you have the right tools on hand to discover fresh ideas, share content, and follow up on any engagement you encounter. 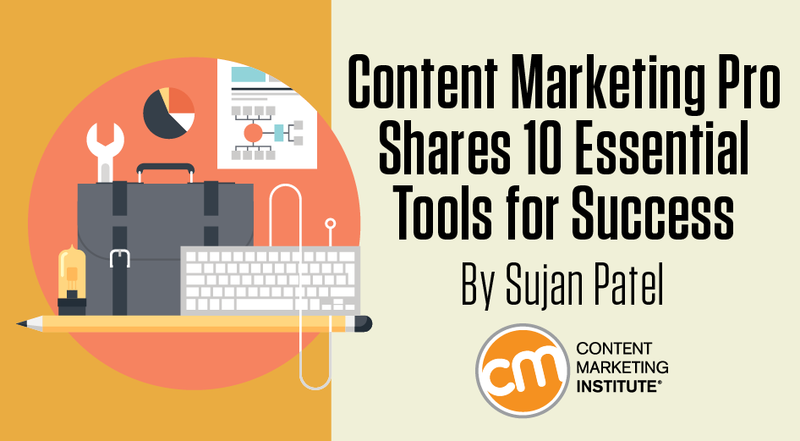 With these 10 essential content marketing tools, your business is sure to be at the front of the pack. 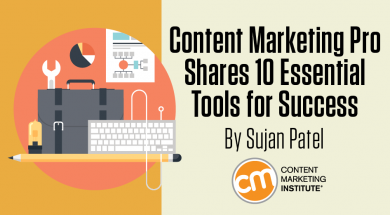 What are your favorite content marketing tools? Have another recommendation besides the tools listed above? Share your suggestions in the comments. Here’s one more tool to help your content marketing success – CMI’s starter kit to get C-suite support: Mastering the Buy-in Conversation on Content Marketing.